We bought these treat bags for a group obedience class. 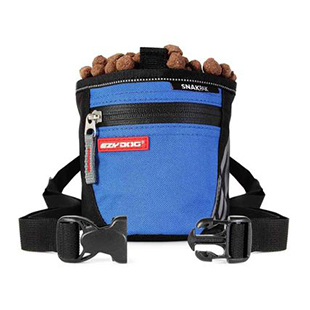 All the dog owners really like them and they are easy to open to retrieve the treat. Very nice quality. We will be ordering more!! This treat pouch is well made, it will likely last many years. My pup goes everywhere with me, even to work. This pouch helps me with training wherever we are. It's also good to have a treat for when people want to meet "Princess Buttercup". I also like that I can run my regular belt through the treat pouch and not have to worry about it slipping off. 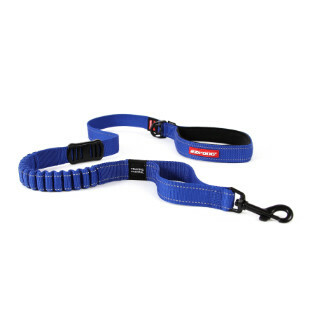 I can also use the supplied belt, or clip it to my belt or pocket. 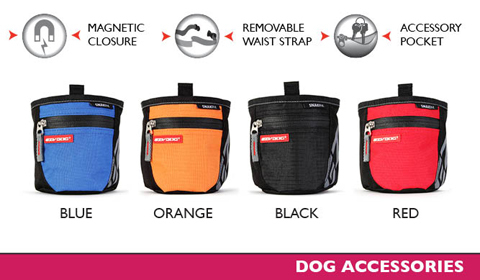 There is also a small pocket for your keys, change you pick up during walks, or poo bags. Princess Buttercup loves it because I can carry more treats!!! This treat bag is well made, and should last a long time. It is of nice quality and size and great for quick treat delivery. I like having the option to use it around my waist for on the hip. Works great and is easy to use. It is well made. Nice product for a quick reward.